Have you seen or heard about the Cymbal Elements Beading range? Do, you know what these are? How about where to buy them? Or how to use them? What is the Cymbal Elements beading range? The short answer is: a brand new range of findings that have been developed by the Beadsmith. 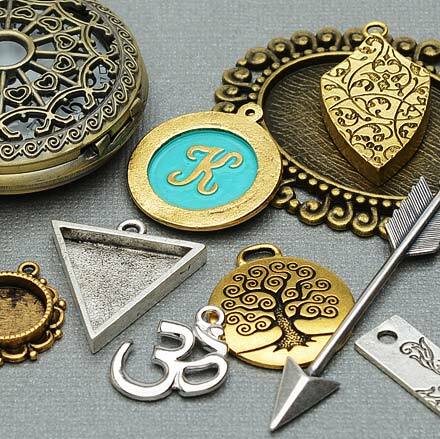 Cymbal™ is a unique, imaginative, and groundbreaking metal component line that has been designed to fit and integrate with the most popular bead working beads in the market. Beads that are addressed in this collection are SuperDuo®, GemDuo®, Miyuki Delica, 11/0 and 8/0 round seed beads, Tila, Half Tila, Silky Bead®, and Honeycomb Bead®. Cymbal™ Metal Fashion Elements™ can have one of 4 different functions: BEAD ENDINGS™, SIDE BEADS™, BEAD SUBSTITUTES™, and CONNECTORS. Experienced bead workers will have a fun and exciting time discovering new ways to use Cymbal™ elements. 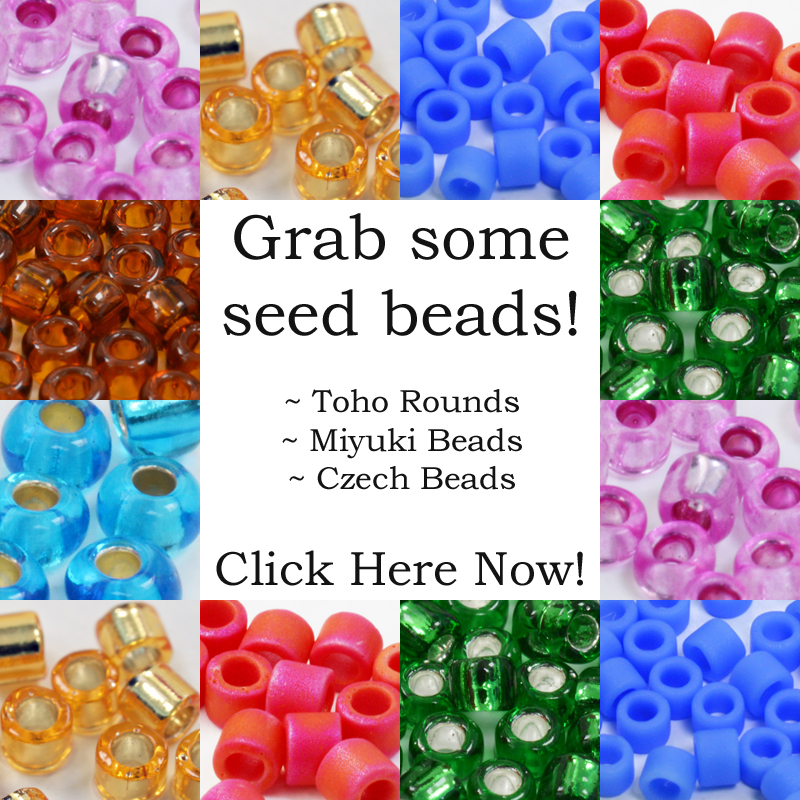 What do we mean by integrating with other beads? My point is, the clasp is kind of an ‘add on’ at the end. Now, with the Cymbal Elements beading range, the clasp – any of the findings, in fact – can become an integral part of the design. They have all been designed to fit specific types of bead. So, you will find rings that are sized to work with seed beads. 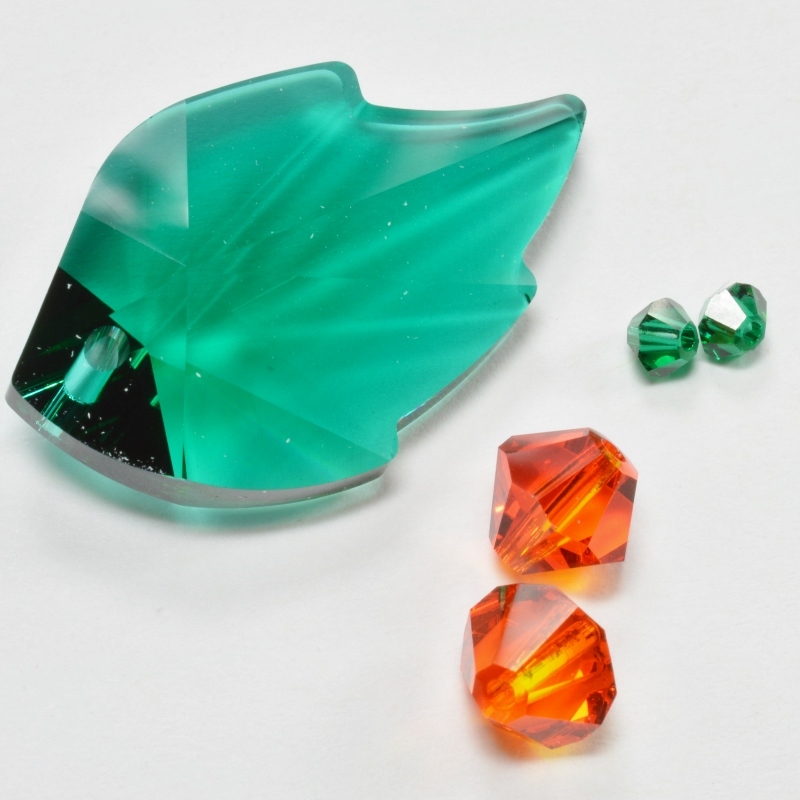 Or shaped sections that will sit in and around some of the most popular two-holed beads, like Superduos and Honeycombs. The result is a much more professional finish, like you can see in this gorgeous bracelet. As that description from the Beadsmith made clear, this is a complete range of findings. So, we’re not just talking about ends for attaching clasps. You also have elements that you can use to link components. Or you can substitute beads with some of these. So, that might mean making a substitution on the edge of a design, or in the middle. The wonderful thing is, you have options. So, this opens up enormous design possibilities. In the past, I’ve talked a lot about making a clasp act as an integral part of a design, not just a means of fastening jewellery. (If you’re interested, you can read more about that in this blog). Well, the Cymbal Elements beading range means you can do that by choosing bead endings and bead substitutes that match or blend together. Then, by using the substitutes within the piece of jewellery, you create something that ties up with the ending and clasp. See what I mean in this beautiful design by Carolyn Cave. I have already begun to cover that. As you saw in the samples above, you can use the Cymbal Elements beading range to replace actual beads in a design. Also, to give a professional ‘ending’ to which you can attach a clasp. I’ve had an early opportunity to try some of these elements myself. (You can use this link to get the necklace pattern if you would like to try it). Integration meant I could sit a size 8 seed bead between the two rings and those rings acted like size 8 beads. So, I was simply substituting the element for my beads within the work. This gave a much stronger and neater finish than if I had stitched a ring on at the end. Look at the hole alignment in the element above: you would be passing through the two holes from side to side, and the single hole from front to back. So, I was able to use this to join my rings so they sat at right-angles to one another. I couldn’t have achieved that effect with a split ring…unless I had linked two. The outcome of this experiment was that I am keen to try more Cymbal varieties. There are so many to choose from! Where can you buy Cymbal Elements? I’m sure, by this point, you’re also curious to try this new beading system. So, where can you find the Cymbal bead findings? 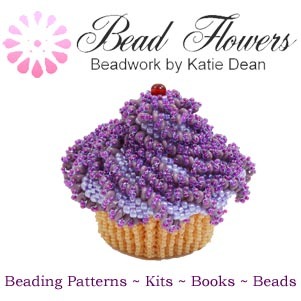 Well, first port of call should be your local bead store! If your store sells items by the Beadsmith, then they will be able to source the Cymbal Elements beading range, even if they don’t already stock them. So, it’s always worth asking. Store owners love to hear what their customers want to use – it takes the guesswork out of ordering from the wholesaler! Now, the range of Cymbal Elements beading findings is large. So, you’re not going to find every single element in every single bead shop! If the shop stocks some, then they should be able to get hold of others. So, it’s worth asking if you know which element you need and you can’t see it listed. 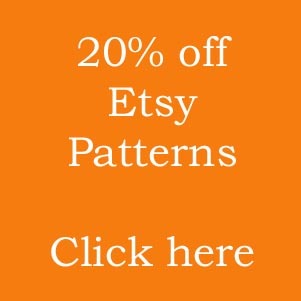 If you’re not working from a pattern, but just trying these out, then pick out anything that looks fun to try and give it a go! Let me know how you get on, and which are your favourite elements, in the comments down below.